Paul and I went on our second date with HowAboutWe (remember the last one here.) HowAboutWe started out as a dating site but they also plan amazing dates for couples so you don’t have to. 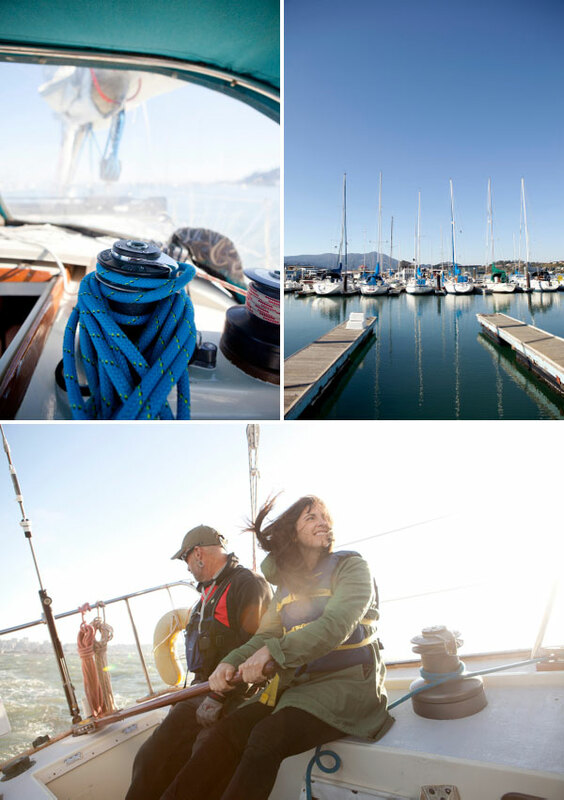 For our second date I chose: An afternoon Sailing in the San Francisco Bay. (I was also tempted by exploring SF by tandem bikes tour and taking a couples screenprinting class.) HowAboutWe is awesome because we actually get out of our dating rut and do different things to discover San Francisco instead of ending up at one of the same three restaurants we always go to. I’ve been so impressed with how easy it is to book things, we don’t have to worry about any of the back and forth, we just have to show up! 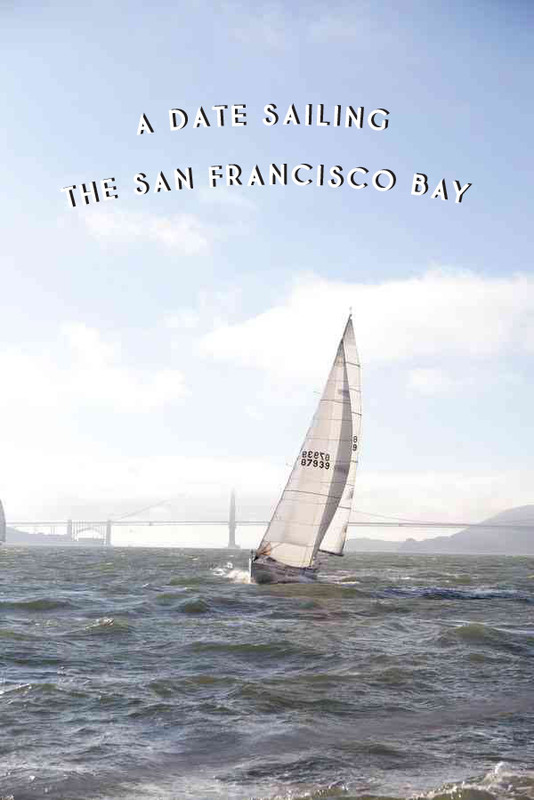 Sailing on the Bay was awesome. I have this obsession with sailing and I’m not sure where it comes from. I think its the idea that you can have the freedom to travel and go wherever you want. 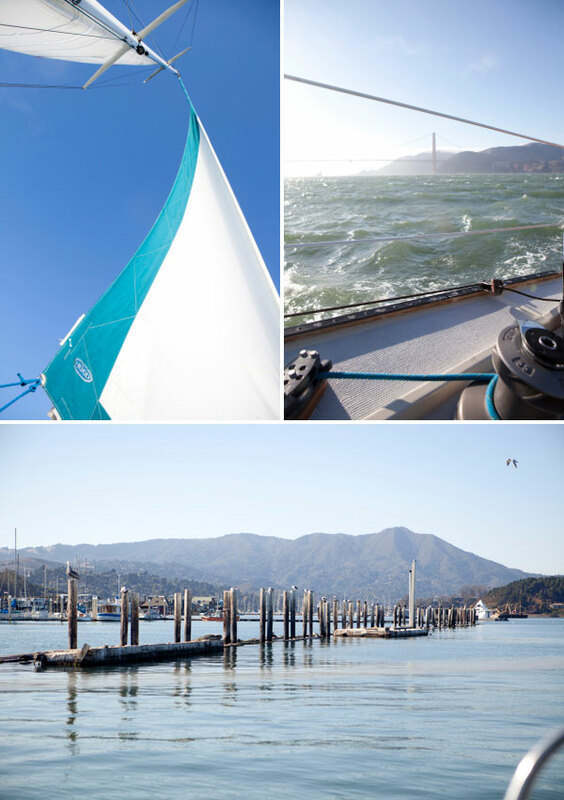 For our sailing date we dropped the kids of at our trusty free babysitters and drove across the Golden Gate Bridge to Sausalito. We showed up at the boat and met the captain. The weather was beautiful: sunny with a little of the famous fog. The Captain gave us safety instructions and then we were off. He saw that we were interested in learning so he took the time to explain what he was doing and what he was keeping an eye on and how to avoid other boats. He even let us sail and steer the boat. We ended up exploring some parts of the Bay we had never been to before and it got us really excited about taking sailing lessons next year! We had such a good time, it was relaxing and exciting and we drove back across the Golden Gate Bridge happy and excited to get back to real life. I love the concept behind this company, if you are interested in checking out this awesome service HowAboutWe is offering $50 off your first date. This post is sponsored by HowAboutWe for Couples: a service that gets people in relationships on wonderful dates, tailored for two. How fun! 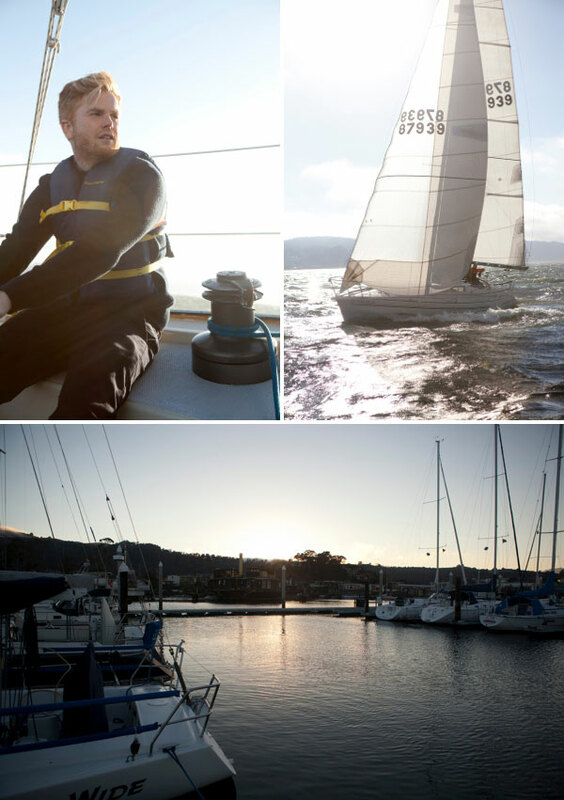 It has been ages since I have gone sailing. Can’t wait to do it again! I LOVE How About We. I am really impressed. We want to do Mission Bowling with Brunch next. I just signed up. This is just what we need! It looks like so much fun. I’d like to see HowAboutWe come to Austin! As someone who has used dating sites in the past (successfully even), HowAboutWe is such a different approach and I think that’s pretty neat. I signed up just to see what it was like (I’m single anyway, so who knows what might happen? ), and I think the way it’s built around your date ideas is pretty cool. It brings something new to the table that other dating sites aren’t doing. What’s also interesting to me is how it forces you to be creative, because since you have to add at least one date idea, you don’t want to put something lame and dull-sounding. Or at least I don’t. It really challenges you to outdo yourself for a great idea.